This guide is continuously updated with the most recent developments, so check back often! Pandora – The World of AVATAR officially opened at Disney’s Animal Kingdom on May 27, 2017! FastPass+ reservations can be made for the two attractions for Guests staying at select Walt Disney Resort hotels. FastPass+ reservations can be made up to 60 days prior to check-in. 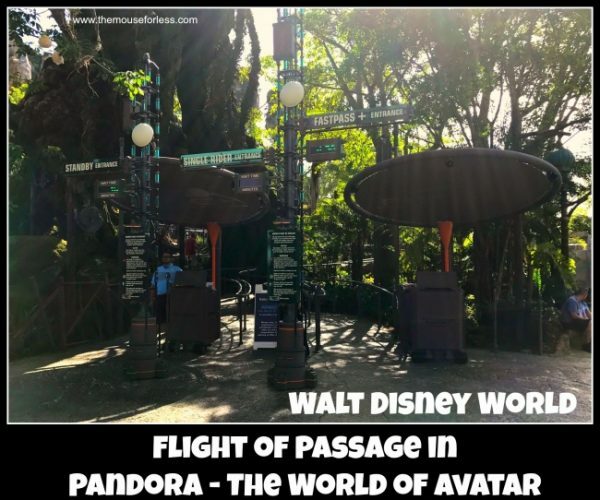 FastPass+ will be available for both attractions, however, Guests will only be able to select one of the two attractions — Avatar Flight of Passage and Na’vi River Journey — in their first set of FastPass+ selections for the day. You will be able to make a FastPass+ reservation for the second Pandora attraction after you have used your first three. Pandora – The World of Avatar includes elements from the original Avatar film as well as its yet-to-be-released sequels, which according to Disney will give the company “even more locations, characters and stories to explore.” To get a feel for the Pandora environment – with its expansive rain forests, immense Tree of Souls and floating Hallelujah Mountains, watch the video below. Guests enter Pandora courtesy of ACE, otherwise known as Alpha Centauri Expeditions. Previously, deep space travel was only a dream, but thanks to ACE, it is now possible to travel across space to Pandora, a world with new possibilities for those seeking interplanetary adventure travel. ACE wants to help you discover the wondrous beauty that the world of Pandora has to offer. The entire land is a stroll-through attraction with a floating mountain and glowing plants that are alive with light and sound. Enter Pandora and experience the Valley of Mo’ara. Here, you won’t climb over mountains. Instead, you hike under them. This is where you’ll experience the start of a jaw-dropping adventure. Guests only hike amid floating mountains, they will also see exotic plants that come to life with beautiful bioluminescence each night, a Na’vi-built drum circle that contains instruments playable by all, and Guests will see Na’vi totems and other cultural items throughout the land. Finally, fans of the Wilderness Explorers are able to participate in two brand new challenges and collect badges. Guests may even come across tour guides from Alpha Centauri Expeditions (ACE), scientists from the Pandora Conservation Initiative (PCI), or even an eclectic expat or two! The new family friendly boat ride attraction for Pandora – The World of AVATAR is called Na’vi River Journey and during it, Guests set out in canoes down a mysterious sacred river hidden within the bioluminescent rainforest. Guests climb aboard a reed boat and drift downstream as the full beauty of Pandora reveals itself as the canoes pass through a series of cave, by exotic glowing plants and amazing creatures. The journey culminates in an up-close encounter with the Na’vi Shaman of Songs, who has a deep connection to the life force of Pandora and sends positive energy out into the forest through her music. The Na’vi River Journey is perfect for Guests of all ages. During the second attraction, Flight of Passage Guests discover what it feels like to soar into the sky riding a Banshee in a new 3D Soarin’-style ride that is the land’s main attraction. This expedition that lets Guests climb atop a what feels like a mountain banshee for a breathtaking, first-person flight over the moon’s incredible landscape. Bonding with a mountain banshee is a crucial step in the life of a Na’vi hunter—and flying on the back of one of these powerful winged creatures represents an important rite of passage. The attraction has a height requirement of 44in (112cm) or taller. 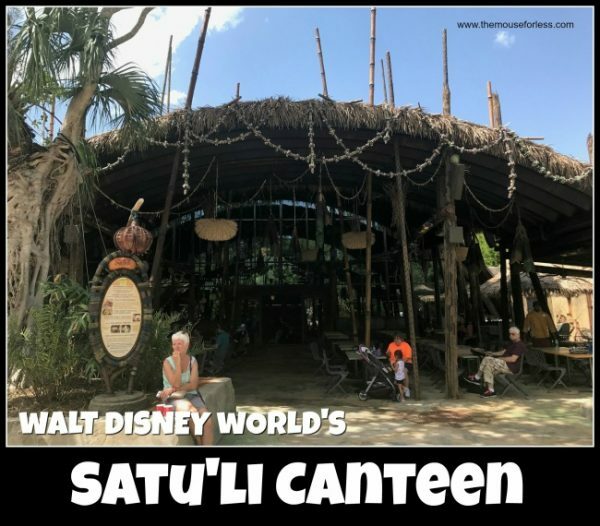 Pandora – The World of Avatar features a quick service restaurant called Satu’li Canteen which will feature displays of Na’vi art and cultural items. Discover healthful dishes and familiar flavors from another world—wholesome grains, fresh vegetables and hearty proteins. Guests head inside the Quonset-hut structure which a long time ago was once an RDA mess hall. Now it is a peaceful dining facility. Satu’li Canteen supplies travelers all the comforts of home—courtesy of a unique, fast-casual menu that’s been crafted from Pandora’s natural abundance. The quick service restaurant will featuring international-inspired cuisine, vegetarian options and specialty libations. A create your own bowl option that allows for maximum customization. Guests will start with a base of either quinoa and vegetable salad; mixed whole-grain rice; red-and sweet potato hash; or romaine and kale salad. Then add a protein option – either slow-roasted beef, sustainable fish, wood-grilled chicken, or chili-spiced fried tofu. The bowl will then be topped with charred onion chimichurri, black bean vinaigrette, or a cream herb dressing. A Steamed “Pod” which are bao buns with either a cheeseburger or vegetable curry filling that is served with root vegetable chips and crunchy vegetable slaw. Beverages at Satu’li Canteen include the Hawkes’ Grog Ale that has a taste of apricot and peach and a hint of wheat, and the Mo’ara High Country Ale, a malty amber ale with the aroma of herbal spice hops and tastes of caramel, toffee, and nuts. Guests can also choose to purchase wines by the glass from Banshee, a small Napa Valley winery. Guests can choose from either a Banshee Pinot Noir or a Banshee Chardonnay. Finally, there is the Pandoran Sunrise, which is a non-alcoholic mix of tropical Juices blended with Powerade Melon which can be served in a souvenir Satu’li Canteen Flute Flask. Finally, you can choose to purchase the Dreamwalker Sangria with a splash Blue Curaçao. At Satu’li Canteen, Guests are able to order their meals with the all new Mobile Order system through the My Disney Experience app. Mobile Order allows Guests to customize and order their meals and pay for them on the go. Guests can then bypass the ordering queue when they arrive at the restaurant. Once you arrive, you will tap the “I’m Here” button in the app which will alert the kitchen to start preparing you meals and when your meal is ready, Guests will be alerted through the app that it is ready to be picked up at a special window designated for Mobile Order orders. The Disney Dining Plan will be accepted at the restaurant. While the restaurant overall accepts the Disney Dining Plan, that option will not be available for Mobile Order; Mobile Order will initially only be able to accept credit cards. Pongu Pongu is a special snack and drink location. 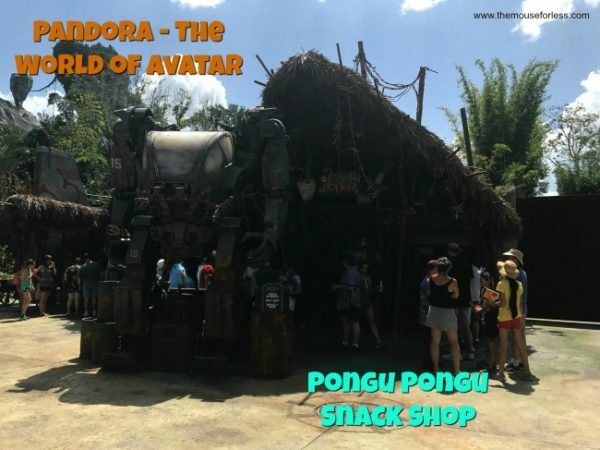 The kiosk is run by an expat who fell in love with Pandora – The World of Avatar and never left. Found near the corner of Windtraders gift shop, Pongu Pongu means “Party Party” in the Na’vi language. Pongu Pongu offers a bioluminescent frozen cocktail, indigenous beers and sweet snacks you won’t find elsewhere, including Lumpia – a crispy pineapple-cream cheese spring roll. Beverages at Pongu Pongu include the Night Blossom, a frozen non-alcoholic drink is a mixture of limeade, apple, and desert pear that is topped with passion fruit boba balls. This drink can be served in a souvenir mug and can become “bioluminecent” courtesy of a purchased glow cube. There’s also the Mo’ara Frozen Margarita which is made with Sauza Conmemorativo Añejo Tequila with strawberry and blood orange flavor topped with strawberry boba balls. There is also the Hawkes’ Grog Ale that has a taste of apricot and peach and a hint of wheat, and the Mo’ara High Country Ale, a malty amber ale with the aroma of herbal spice hops and tastes of caramel, toffee, and nuts. The Disney Dining Plan will be accepted. At Windtraders, Guests are able to pick up their Pandora souvenirs including Na’vi cultural items, toys, science kits, and more. Here, the walls have been overtaken by natural root structures. Guests can browse a variety of mementos and take-home treasures, including the ability to adopt a banshee. From Na’vi cultural artifacts and animal toys to science kits and Alpha Centauri Expeditions (ACE) apparel, you’ll find something exciting for every member of the family here! Become one with the Na’vi at this colorful kiosk where Guests can get Na’vi-inspired face painting. This area is run by local expats, as wild and eclectic as the creatures they paint. 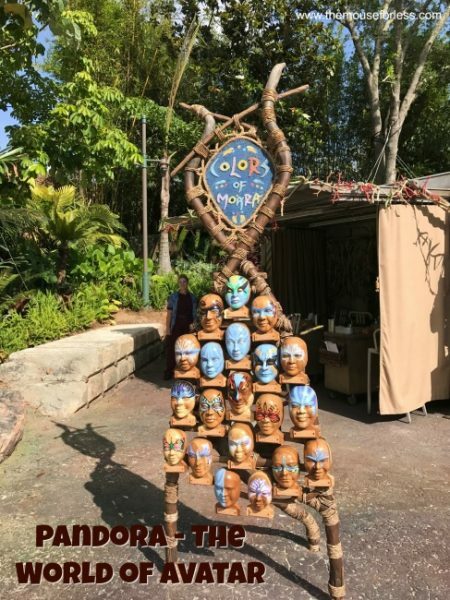 Here at Colors of Mo’ara they help explorers see themselves as one of the Na’vi! Featuring authentic Pandoran markings, along with select merchandise, it’s a perfect stop for all ages. James and his producing partner Jon Landau and their team at Lightstorm Entertainment will work side-by-side with Walt Disney Imagineers to create the AVATAR-themed land. What we knew the first year-and-a-half after the official announcement was actually very little since Disney has been pretty much silent about the AVATAR project during that time. This has lead to numerous rumors that things were not going well with the planned expansion. Disney fan sites speculated that the project might be headed for an early death, especially in light of rumors that an East Coast version of California Adventure’s Cars Land could be coming to Disney’s Hollywood Studios. The speculation intensified in October 2012, when Disney spent more than $4 billion to acquire Lucasfilm and the rights to the “Star Wars” franchise – a land many Disney fans would love to see built at a Disney World park. You can read a few of the articles that casted doubt on the project below. On August 26, 2013, Jim Hill Media posted a blog that attempts to explain the motive of lack of information on this project. According to JHM, “it’s because Cameron — rather than The Walt Disney Company — is the one who’s been controlling the pace of development on this project. And since James wants this new DAK “land” to open at a time when it would be the most helpful for he and Fox Filmed Entertainment’s plan to turn AVATAR into a full-fledged franchise.” Also submitted by JHM, in August of 2013, Fox Filmed Entertainment chief Jim Gianopulos revealed to investment analysts that James Cameron has: finished outlining the next three installments of his AVATAR film series; has selected the screenwriters that he’ll be collaborating with in order to turn these outlines into full-fledged screenplays; has signed “Jumper ” author Steven Charles Gould to write four AVATAR novels (1 expanding upon the storyline of the 2009 AVATAR release and 3 based on the upcoming sequels) that will be releases between the AVATAR film sequels, and that all three of AVATAR film sequels will shot simultaneously starting in 2014 and then be released to theaters. You can read the entire article here. 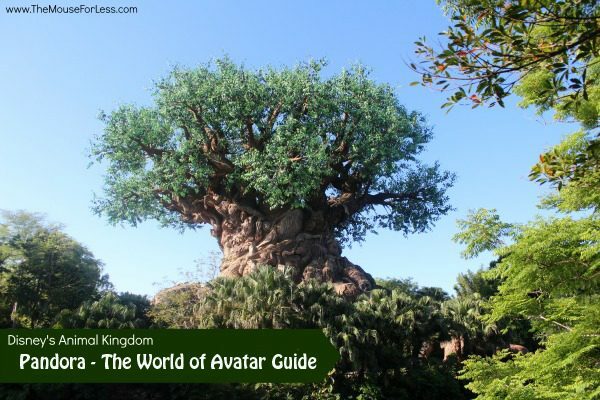 Another subject that was widely discussed among Disney fans was the location of the AVATAR project, with two main areas in contention – an area to the west currently occupied by Camp Minnie-Mickey and a plot of land to the north, just beyond Asia. Of the two, the area of Camp Minnie-Mickey, which was originally earmarked for Beastly Kingdom but never built, was deemed the strongest contender. 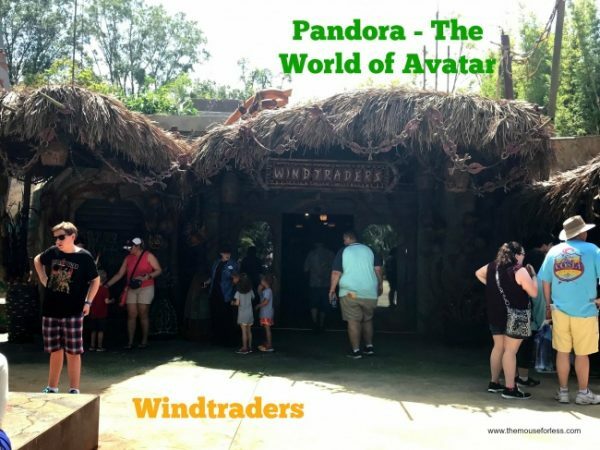 Changes at Animal Kingdom in early 2013, and particularly regarding attractions and character meet and greets at Camp Minnie-Mickey, all indicated that Disney is fully committed to the project and was making preparations to move ahead with Pandora – The World of Avatar. On July 29, 2013, Disney announced that information would be forthcoming at the D23 Expo on August 9-11, 2013 at Anaheim, California. According to Disney, “there will be teasers for new attractions based on Avatar” at the event. The teasers, however, turned out to be nothing more than an Imagineering office cubicle litter with props and sketches hinting at soon-to-begin construction at Disney’s Animal Kingdom theme park and shed no additional light on the project. On October 12, 2013 at Japan’s first D23 Expo, new info and concept art was released for Animal Kingdom’s future Avatar-inspired land, as well as plans for new nighttime entertainment and attractions for other areas of the park. Read more here. By the end of 2013, Disney had officially announce on the Disney Parks Blog that the a new Festival of the Lion King Theater would be built in the Africa section of the park and the final announcement of 2013 was the permanent closure of Camp Minnie-Mickey on January 6, 2014, – the site that Pandora – The World of Avatar would be built. Ground was officially broken for the new AVATAR-inspired land at Disney’s Animal Kingdom on Jan. 8, 2014 and announced on the Disney Parks Blog. During the ceremony, Disney parks executives and Imagineers, as well as Avatar Producer Jon Landau, were accompanied by large blue a Na’vi as they held blue Na’vi-inspired shovels for a photo op. The multi-year and largest expansion in Disney’s Animal Kingdom history, the new land will invite Walt Disney World Resort guests to experience the wonders of Pandora when they fly with the banshees, encounter the Na’vi and explore a rich cultural environment with mountains that float and interactive plants that glow at night. The project cost is speculated to be in the vicinity of $400 to $500 million. 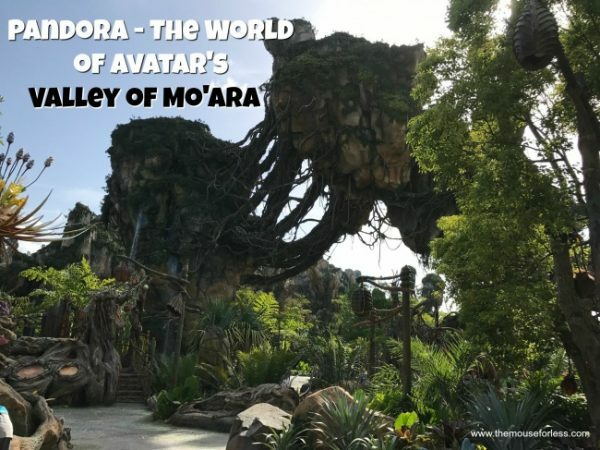 What Changes Took Place in Preparation of “Avatar Land”? The following changes have taken place at Disney’s Animal Kingdom park in preparation for Pandora – The World of Avatar. The Beastly Bazaar store, near to the Flame Tree BBQ, closed August 12 2012 to make way for an indoor character meet and greet location, called “Adventurers Outpost.” The new meet and greet location gives guests the chance to meet Mickey and Minnie Mouse in an air-conditioned environment. Adventurers Outpost officially opened on Discovery Island on May 15, 2013. Also in June of 2012, Goofy moved from Camp Minnie-Mickey to join Pluto in Dinoland. Many of the random character appearances at Camp Minnie-Mickey, such as Daisy, Meeko, Timon, Thumper and Miss Bunny were permanently discontinued. Meanwhile, preparations were also underway to relocate the popular Festival of the Lion King show that was located at Camp Minnie-Mickey. On January 6, 2014, the existing Camp Minnie-Mickey section of the park closed for good and Festival of the Lion King was announced that it would be relocated. On June 1, 2014, The Festival of the Lion King show reopened in it’s new theater in the Africa section of the park. In addition, Mickey’s Jammin’ Jungle Parade ended permanently, with no plans for another parade. 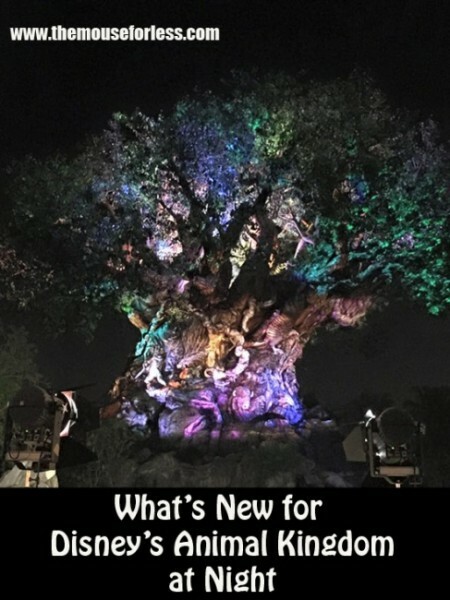 There is a multitude of new offerings at Disney’s Animal Kingdom that Guests are now able to experience. From nighttime safaris, to unique dining options, to special live entertainment, and so much more. Guests will also be able to enjoy the illuminating new nighttime spectacular, Rivers of Light. “Rivers of Light” is a nighttime spectacular unlike anything ever seen in Disney Parks, combining live music, floating lanterns, water screens and swirling animal imagery. The show magically comes to life on the broad, natural stage of the Discovery River, between Discovery Island and Expedition Everest. During the show, a pair of mystical hosts come to the river bearing gifts of light and set out from the shore on elaborate lantern vessels for a dramatic dance of water and light to summon animal spirits. With the storytellers as guides, the wonders of “Rivers of Light” builds to a stunning crescendo. Rivers of Light lasts approximately 15 minutes. Rivers of Light debuted on February 17, 2017 and Guests are able to enjoy the nighttime spectacular nightly. Guests looking to see this show can choose to purchase a special Rivers of Light Dining Package. Those who purchase this package will be able to enjoy a meal from one of two participating restaurants and then receive premium seating for that evening Rivers of Light presentation. Tusker House: A Disney character meal buffet that serves dishes with a bit of an African flair. Dining Packages are available for breakfast, lunch, or dinner. Breakfast will cost $39.00 for adults (ages 10 and up) and $23.00 for children (ages 3-9). Lunch and dinner will cost $52.00 for adults and $32.00 for children. Tiffins: This signature restaurant celebrates the art of traveling, featuring foods from places around the globe that inspired the creation of Disney’s Animal Kingdom. Guests can dine enjoy either lunch or dinner and will receive an appetizer, entree, and dessert. The cost for the dining package is $67.00 for adults and $26.00 for children. Guests who book the Rivers of Light Dining Package will receive their voucher for the show’s reserved sating at the time of the meal. Guests are asked that they arrive at least 15-35 minutes prior to showtime. Do keep in mind that seating is first come, first served. Guests who purchase the dinner package will need to enter the theater on the DinoLand U.S.A. side. The park’s iconic Tree of Life undergoes an extraordinary “awakening.” Animal spirits come to life throughout the evening by magical fireflies. Each scene appears to emanate from within the tree itself and reveals stories of wonder. The awakenings at the Tree of Life are able to be seen on both sides of the tree. Enjoy Kilimanjaro Safaris in the evening hours, thanks to special lighting that allows guests to explore the savanna – and its inhabitants – well into the night. Kilimanjaro Safaris presents a nighttime version of the safari. Amid the magically extended orange glow of the setting sun, two new species have been introduced – African wild hogs and hyenas. During the Harambe Wildlife Parti, Guests can turn into “party animals” at the Harambe Wildlife Parti and enjoy lively African music, exotic foods and drinks, and explore the local marketplace. At the Discovery Island Carnivale located on Discovery Island, join the local community in their celebration of their love for nature in this party that features music, dancers, stilt walkers, food and more. 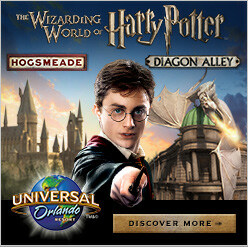 The park’s attractions, which will be operating in the nighttime hours, take on a whole new life. Guests are able to experience the thrill of attractions like Expedition Everest and Kali River Rapids – surrounded by darkness. 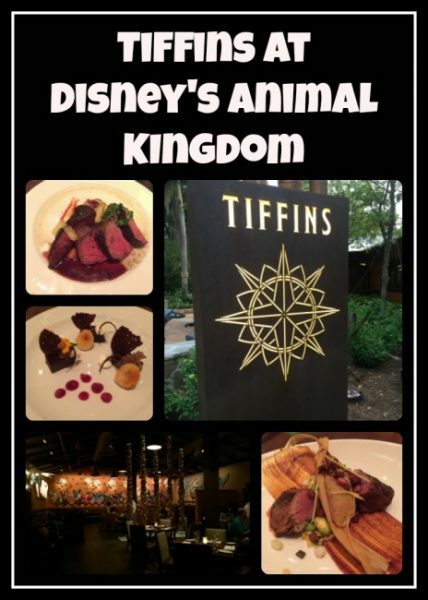 They can also enjoy colorful midway games and attractions in DinoLand, U.S.A.
Tiffins is a new signature table service restaurant is on Discovery Island at Disney’s Animal Kingdom. The restaurant celebrates the art of traveling and features a diverse menu drawing from places that inspired the creation of Disney’s Animal Kingdom. It is open for both lunch and dinner and features waterfront views from comfortable indoor and outdoor seating areas. For those wondering about the name, “tiffin” is an Indian English word for a midday meal or a type of container used to carry food while traveling. Adjacent to Tiffins is the Nomad Lounge with beautiful waterfront views. Menu items include small bites like a vegetarian summer roll, seared Wagyu beef skewer and honey-glazed coriander-spiced pork ribs. The Nomad Lounge does not require Advance Reservations (although they are recommended for Tiffins). 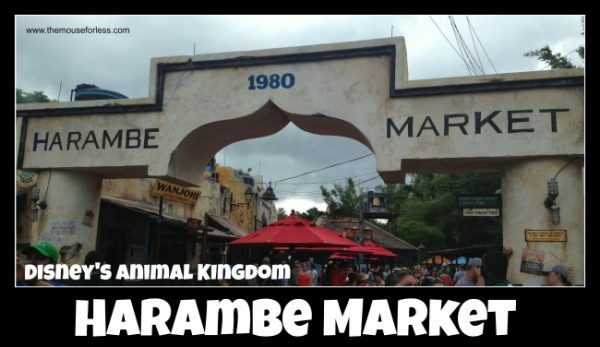 The Harambe Market is now open. The Market includes a variety of African-inspired foods and beverages at four walk-up windows and more shaded places for Guests to relax and enjoy. This new addition also includes a new pathway to Asia for Guest convenience. 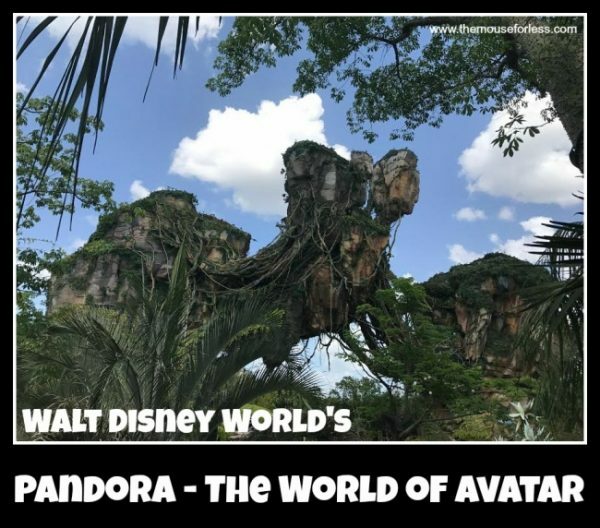 If you want to travel to Pandora – The World of Avatar or experience any of the nighttime fun at Disney’s Animal Kingdom, contact the agents at The Magic for Less Travel. 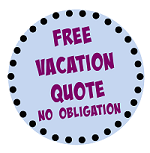 Their concierge services are provided free of charge and their expert planning advice will help you make the most of your vacation time and money.